That’s a Lot of Servos! 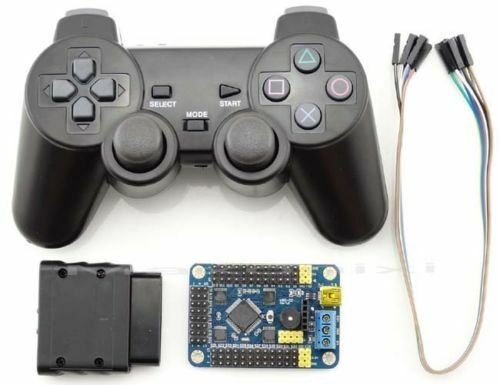 So apparently I bought a Playstation 2 wireless controller and 32 servo controller board to connect it to. Not entirely sure how I’m going to program it as yet, but I’ll find a way. It’s an entirely silly purchase. I mean, I’ve burnt out my RC controller too many times already and those 10 or so switches and buttons on it don’t actually operate as switches and buttons. So this is a better controller as far as number of controls is concerned, but it’s also easier to handle for non flight RC. For example hexabots or robot arms. Previous post Where Does Innovation Come From? Next post Virtual Machine OSX is Finally Here!